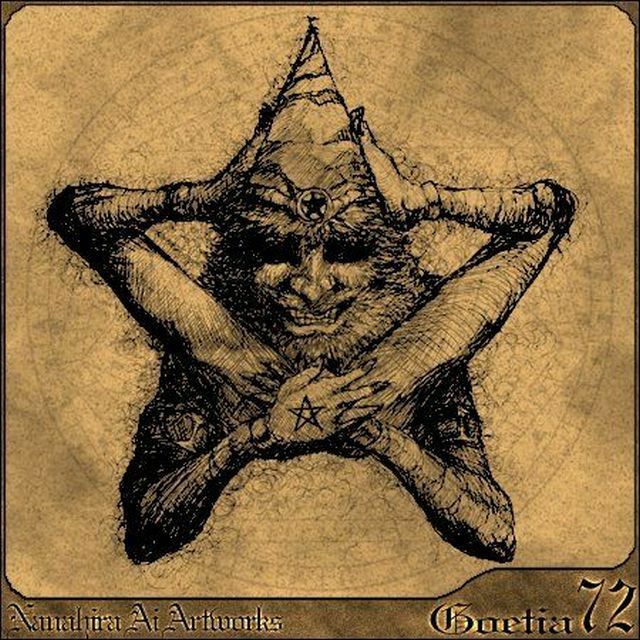 He even did artwork for Seere, and plenty of the other Ars Goetia demons. For good measure, I'll put up his interpretation of Decarabia as well! Damn! That is WAY better then Atlus interpretation of Decarabia. 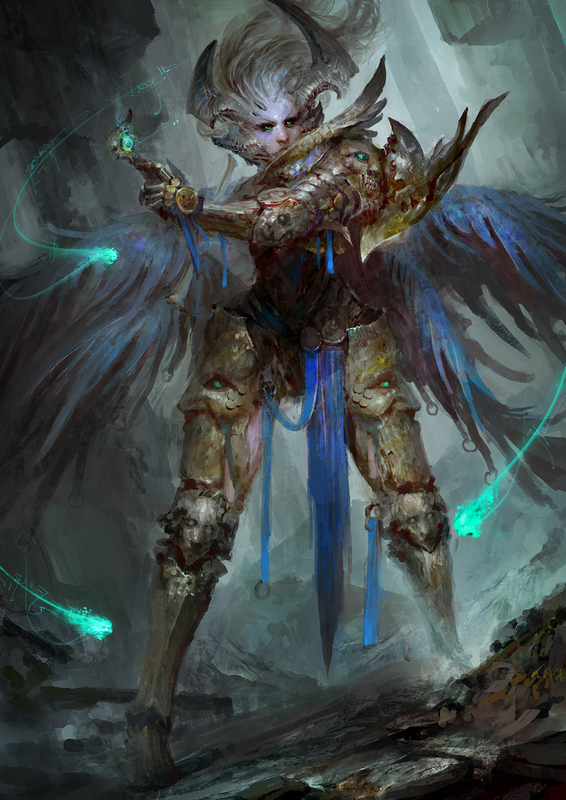 Dungeons and Dragons v 3.5 also have some juicy Ars Goetia. All below are Credited to the artists under Wizards of the Coast. 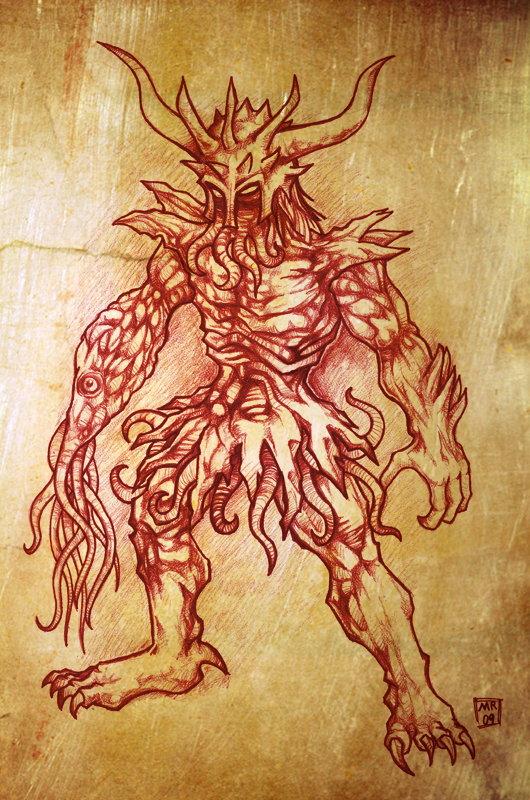 I would love to see the Malebranche from Dante's Divine Comedy to show up in Bloodstained since I don't think the Sorrow games gave them that much justice as color swaps (Then again Final Fantasy spoiled me with the 4 Elemental Fiends named after 4 of them.) 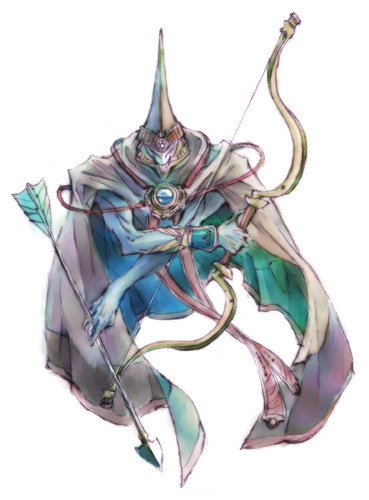 I'd also like to see Leraje and Ose from the Lesser key of Solomon show up considering Leraje was one of my favorite designed enemies in Castlevania. Not the most "faithful" interpretation of Vepar, as the artist acknowledges, considering the crazy descriptions of some of these Dukes of Hell. Not quite like the giant sea-monster you were expecting from the Bloodstained E3 Demo, eh? 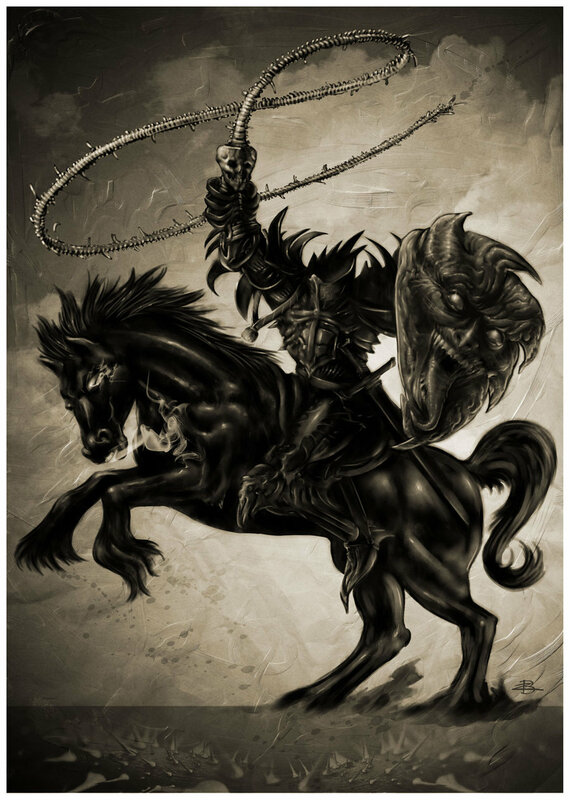 So, we've already got a monster based on Dullahan (this is kind of off topic as it's not a lesser key demon), but I just learned Dullahan uses a human spine for a whip. How cool would it be to get that as an item drop? ^Human spine for a whip, you say? A human's spine would be a perfect crafting ingredient for the Vajra lightning-sword of Indra! Risada Holy crap... Orias is one bizarre fellow, even for a Lesser Key demon duke. Here's one artwork that I've found. 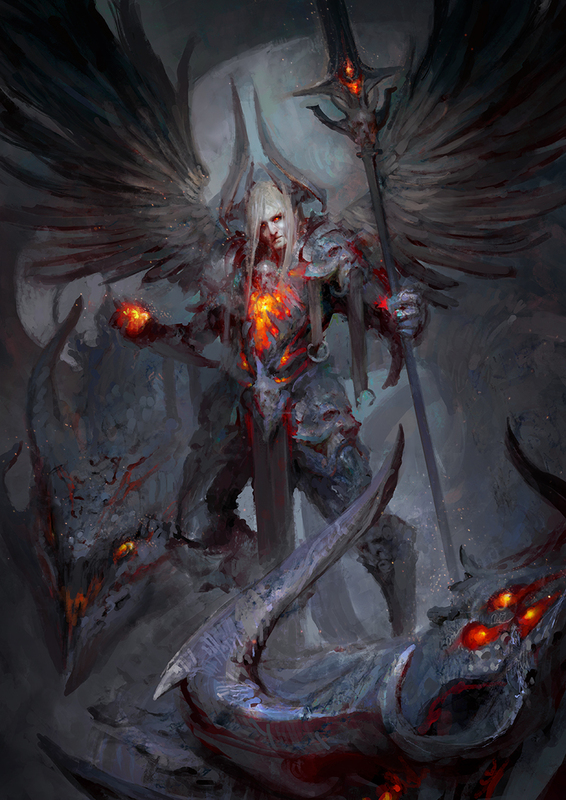 Murmur is a Great Duke of Hell, and commands 30 legions of demons. He teaches Philosophy, and can command the souls of the dead to appear before his conjurer to answer every desired question. 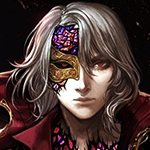 Murmur once went by the name "Matthias" (perhaps the developers of Bloodstained could take some creative liberty with this detail?). 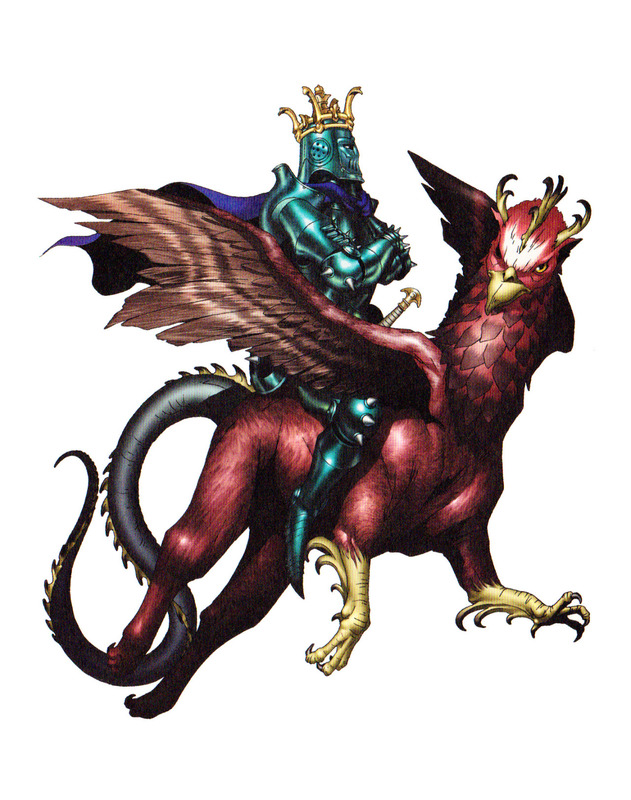 Murmur is usually depicted as a soldier riding a vulture or griffin (or even a hippogryph), and wearing a crown. I've found out that "Murmur" in Latin means "noise, whisper, or the sound of a trumpet". Hey! 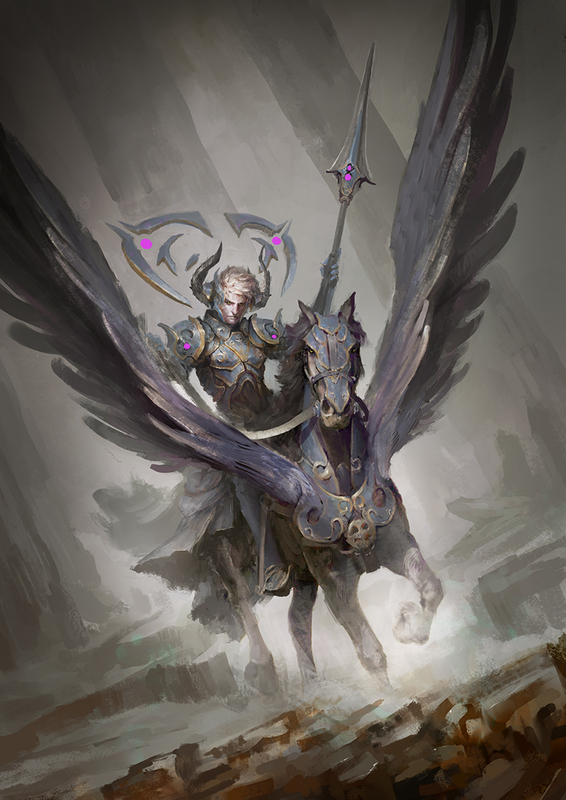 If Murmur's an enemy, perhaps the sound of trumpets playing could "announce" his arrival to fight Miriam. 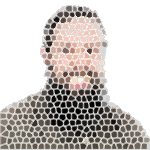 According to TinEye, the site ww38.devilsfoe.com/ is the oldest one having this image, so even if its forbidden link there, it could be the source. There are several things in Scandinavian Folklore like Pesta that I would like to see in Bloodstained. Read of her in that link. One story tell of a ferryman who helped her across a lake. When he realised who it was, he begged for her to spare him, and she told him that for his kindness, he would recieve a painfree death. He died quietly in his sleep later that night. Unfortunatley, he had infected his family as well. I'd like to see the "Nokken" and Draugen (Draugr) too. I already knew that Draugr, in particular, were part of Scandinavian folklore...but seeing that word again, I can't help but think of Skyrim now (and Morrowind's Bloodmoon expansion). 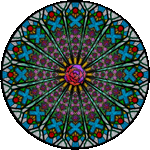 Ooh, holy necro of a great thread! How I missed posting here. Now, I've posted an image of Leraje in this thread before, but a recent thread inspired me to search for more.